Dreu Edward Murin was born in Susanville, CA. He was raised by Edward and Mary Ann who remain huge inspirations in his life. Dreu attained both his undergraduate and graduate degrees at the University of Nevada. Dreu has always been active in his community and is considered an ambassador after becoming a respected member of the Reno and Lake Tahoe Community. Living life to the fullest with his black lab, Diesel, he enjoys everything the Reno/Tahoe area has to offer, as well as often traveling around the country with family. Dreu has been very successful both locally and nationally in radio and television. Dreu still is a afternoon drive DJ on a 97.1 FM a Rock Station in Lake Tahoe where he got his start in media. He also is the host of a local television show on FOX helping spearhead a new and exciting television network in the Lake Tahoe market with the likes of Olympians, Jamie Anderson, JT Holmes, Maddie Bowman and more. 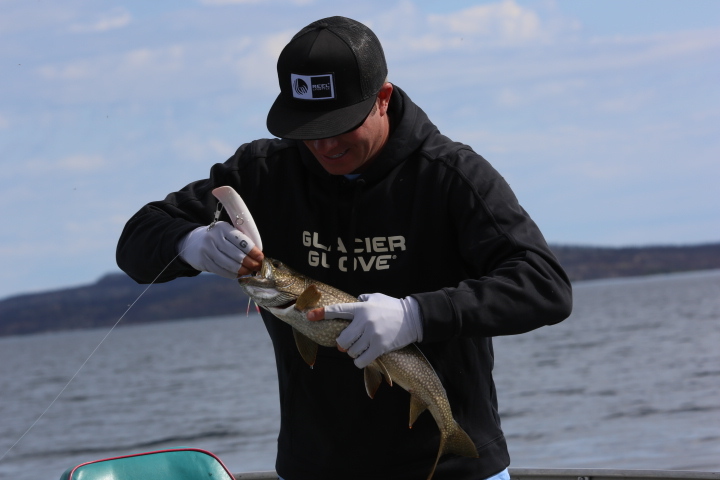 Furthermore, Dreu is the Co-Host with his good friend Denis Isbister of a National Syndicated Television show Wild Fish Wild Places that is aired on World Fishing Network. Dreu and Denis travel to remote places around the globe searching out locations and fish that people have never seen before in some circumstances they are the first to show some species on camera. If that isn’t enough for three full-time jobs Dreu also a highly sought after “Live Announcer" and ambassador for many waterman as well as winter related events internationally. Dreu is the main commentator / announcer for many RedBull events across the country, numerous Surfing and Stand Up Paddle events, and has also commentated some of the largest international events for Fox Sports and CBS Sports stretching from Los Angeles, Mexico, Nicaragua, to Brazil. Just when you think thats it, you can always catch Dreu in his limited free time volunteering and donating his time to non-profits and fundraisers around the Reno/Tahoe area. You can even running around on the court as the in-game announcer for the Sacramento Kings on occasion!! !